Bounce product across your face. 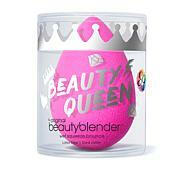 Create a lather by rubbing beautyblender or brushes over the soap. 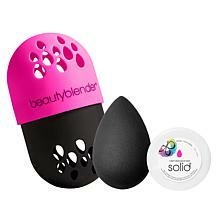 Gently squeeze beautyblender and rinse again to remove any excess cleanser; repeat if necessary. 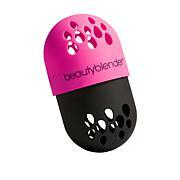 Air dry beautyblender in a ventilated area. I have an airbrushing system, so I was apprehensive about trying a beauty blender... this works just as well as my $100+ Airbrusher, and you can use any kind of makeup with it. No need for the $40.00 specific foundation... and it's much easier to travel with when I'm on holiday! 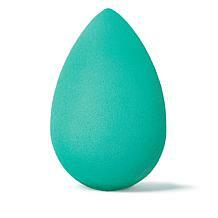 I love the natural coverage of foundation I get with the Beautyblender. I am in my 60's and have lines on my face. With the Bleautyblender it does not settle into the lines. I gave 4 stars because my first one grew mold on it. I will modify how I cleanse and dry it and hopefully will not have any more mold problems. I was so excited to get these! 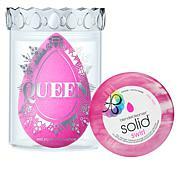 Unfortunately when I went to use it the color bled even after a couple of washes with the included cleanser and it seemed to fall apart. Very disappointing. Remind me about beautyblender upcoming shows.